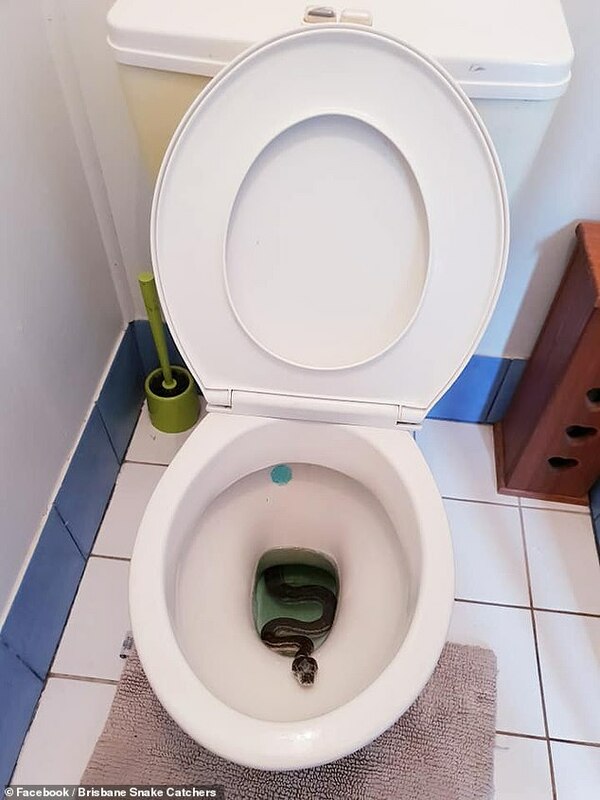 Web Desk: A husband got a fright of his life after he discovered a huge carpet python relaxing inside his toilet bowl Brisbane home, reported Dailymail. The snake was seen bathing in the toilet’s water with its body positioned in an ‘s’ shape after it slithered through an outdoor pipe. Stewart Lalor received an emergency call at about 6.45am on Saturday and drove to the Wynnum west family home within 20 minutes.